Great one bedroom suite at Celeste. Enjoy 9 foot ceilings, crown mouldings and an open living design with corner fireplace and laminate floors. The kitchen features maple cabinets and granite counter tops including a raised eating bar. Am enities include exercise room, fully furnished guest suite and large rec-room with kitchen opening to courtyard. 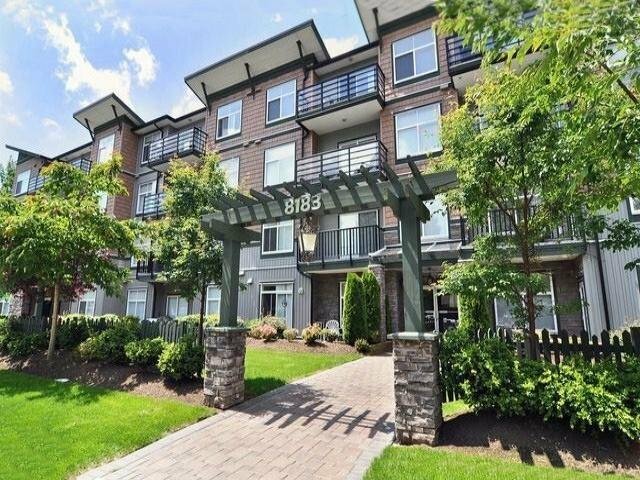 Great curb appeal, nicely landscaped, u/g sprinklers, one underground parking spot (stall number assigned by the strata upon ownership). Just minutes shops, Superstore, transit and 2 toll free bridges. 1 cat or dog allowed, 15" at the shoulder & under 25lbs. Rentals restricted to 8, currently full at 14.